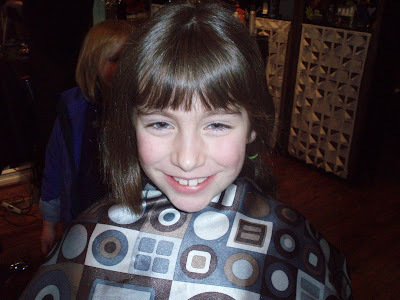 Bijou - A gem of a little salon in Skaneateles: Another little Bijou client, donates hair to Locks of love! 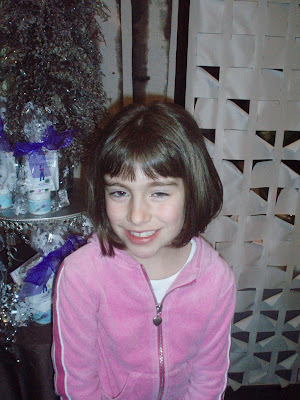 Another little Bijou client, donates hair to Locks of love! Another brave little girl! Handing her lovely locks over to Locks of love. 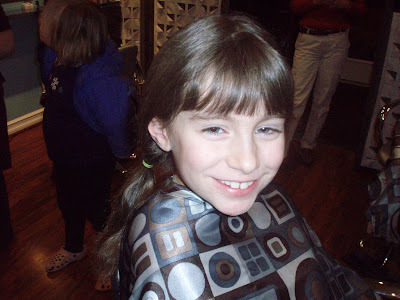 Little M, getting ready to part with her tresses, very brave, excited indeed, ready for a new "do"! Two ponies, ready to cut them and put them in an envelope for some lucky little girl, who needs those ponies for a wig to help her through tough times! Here is the shining star! Bouncy locks and a cute little bob, swinging her head out the door, proud of what she has done! 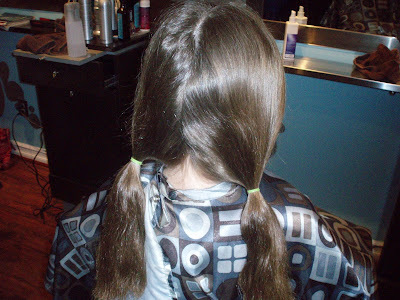 *locks of love donations are free of charge at Bijou, you donate, so we donate!